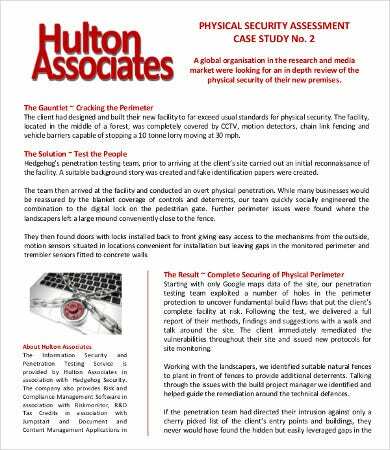 How secure is your company? If you’ve ever done Self-Assessment, you know that the only way to prime yourself for success is to hone in your weakest points in order to improve them. The same holds true for the management of any industry or organization. 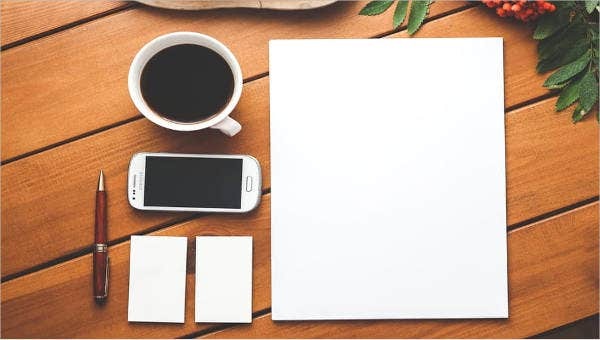 To make sure you are operating at the highest security necessary for your line of work, you will need to assess your current security structure and pinpoint any areas where you can improve. Here are some security assessment templates to show you how to do just that. 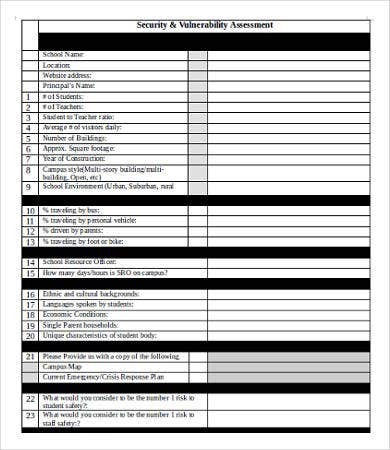 This list covers samples of complete security assessment reports from various industries as well as editable blank templates to help you start creating your own. 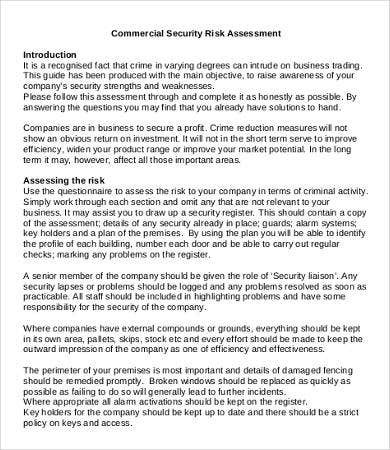 Why Do I Need Security Assessment? If you are in any business that aims to do anything valuable in the market economy, you would have likely done everything from Skills Assessment of your workforce to Network Assessment of your systems. A security assessment aims to provide the same appraisal and mitigation of risks for your entire company infrastructure. 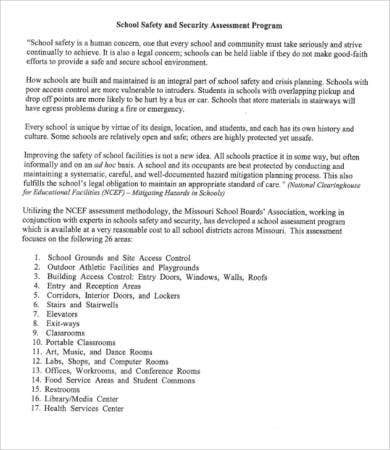 suggest policies and other safety measures to mitigate these risks. Security, vulnerability, and risk assessment has risen in importance with the rise of software risks and cyber threats. But it is optimal to establish security of more than just your IT structures, and this is something most organizations now take into account. 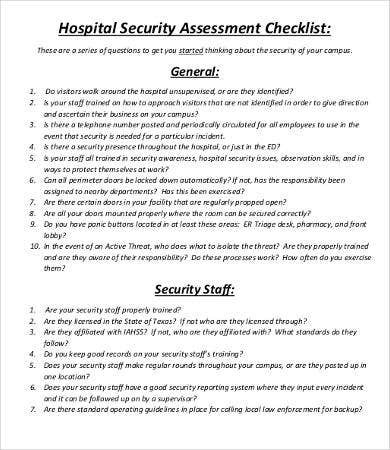 Who Can Use These Security Assessments? 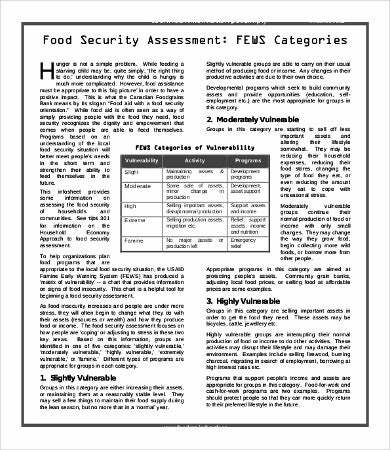 These templates provide examples of institutions that employ security or vulnerability assessments. You can borrow directly from their example if you are managing a company, a hospital, hotel, or school. 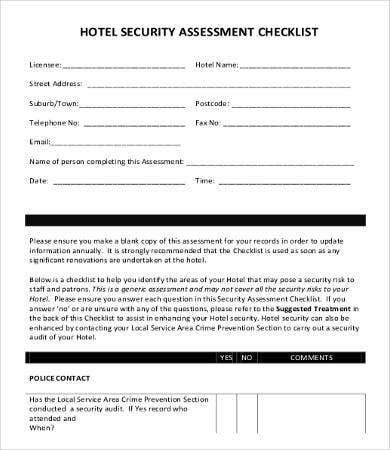 See also the Hospital Security and Hotel Security Assessment templates. 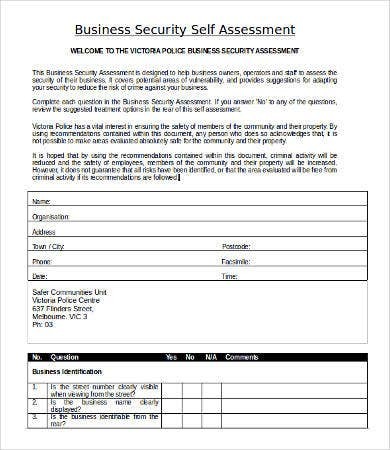 See also Business Security Self-Assessment Template to have employees identify their roles in protecting the company’s security. This doesn’t just apply to for-profit corporations. 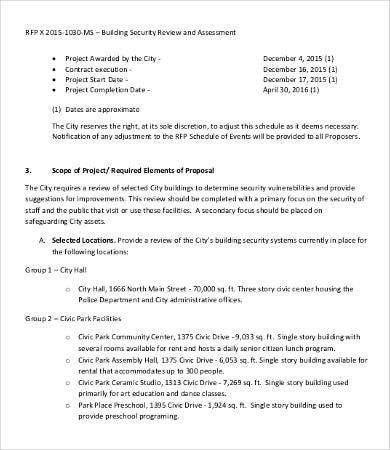 This works as well for government organizations looking to analyze the structure of a community and mitigate certain risks in case of crises. 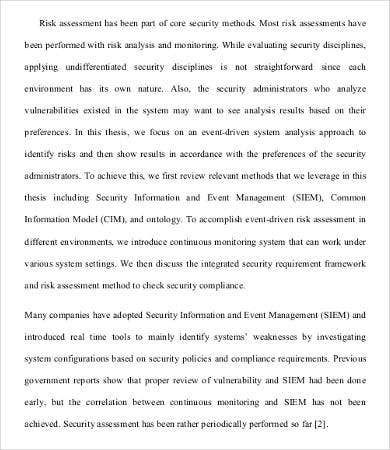 The above security assessments seek to address risks directed at the company, institution, or community. But it can be just as important to assess the dangers of what the company or institution can inflict on the environment through its own actions. This impact could be in relation to the natural environment, the economic environment, or the social environment. After sealing the holes in your security against external and internal risks, you will want to conduct an Impact Assessment to make sure you are not creating any risks or negative consequences you are not willing to be accountable for.